The year was 1991. The University of Michigan was hosting Notre Dame. The Fighting Irish were ahead and it was fourth down with one play left. The result of those final seconds was the now infamous catch by wide receiver and Heisman Trophy winner, Desmond Howard. “The Catch”, as it is now widely known, led to a touchdown which in turn sealed the victory for Michigan, which at the time, was battling Notre Dame for the title as the number one team in the country. In 2011, it was déjà vu all over again. That is, the Wolverines found themselves in a story-book rivalry battling the Irish in the first ever night game at “The Big House”. 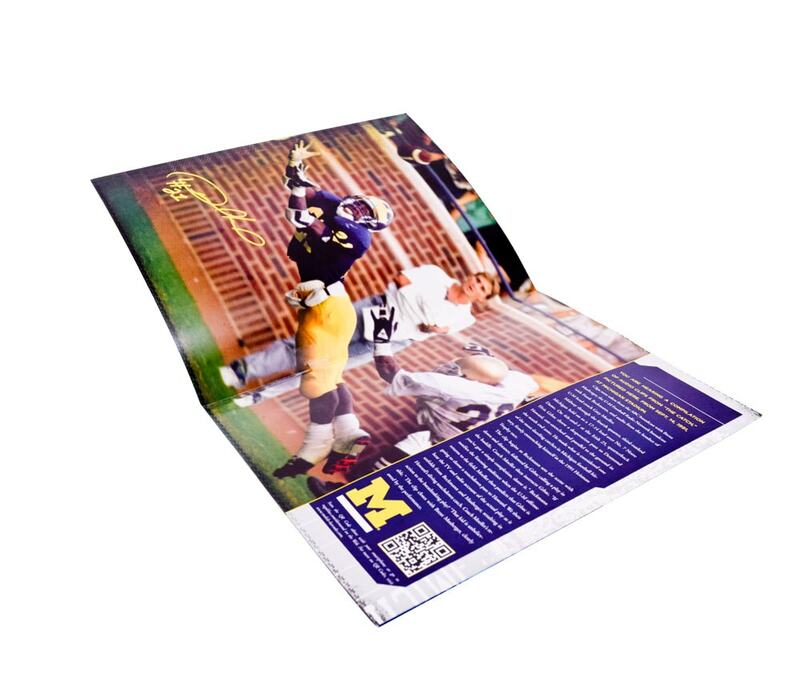 The University of Michigan football program wanted to commemorate the 20th anniversary of one of the most memorable and exciting plays in their legendary history. 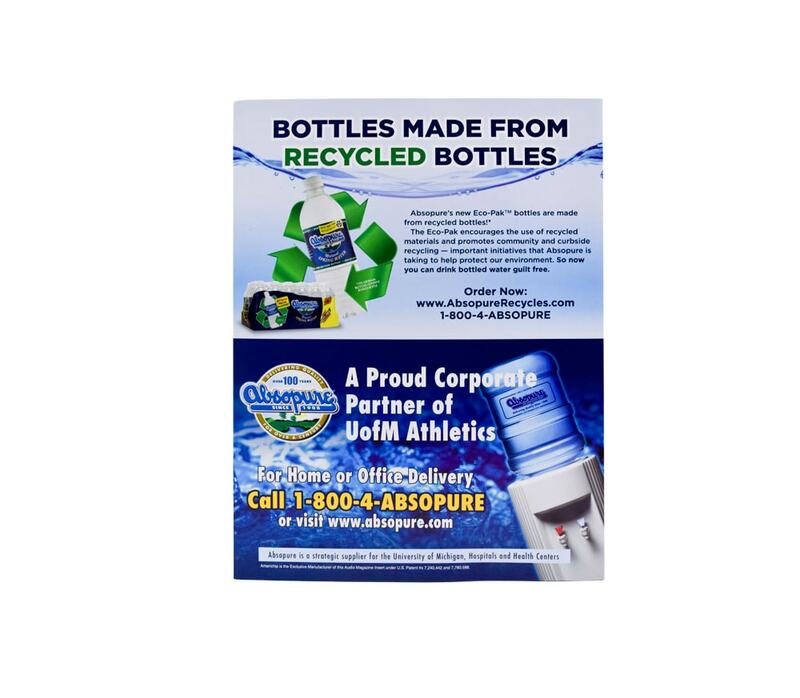 To recreate this game changing moment for their fans and introduce the play to a whole new generation who were attending the 2011 game, the athletic department contacted the experts at Americhip. 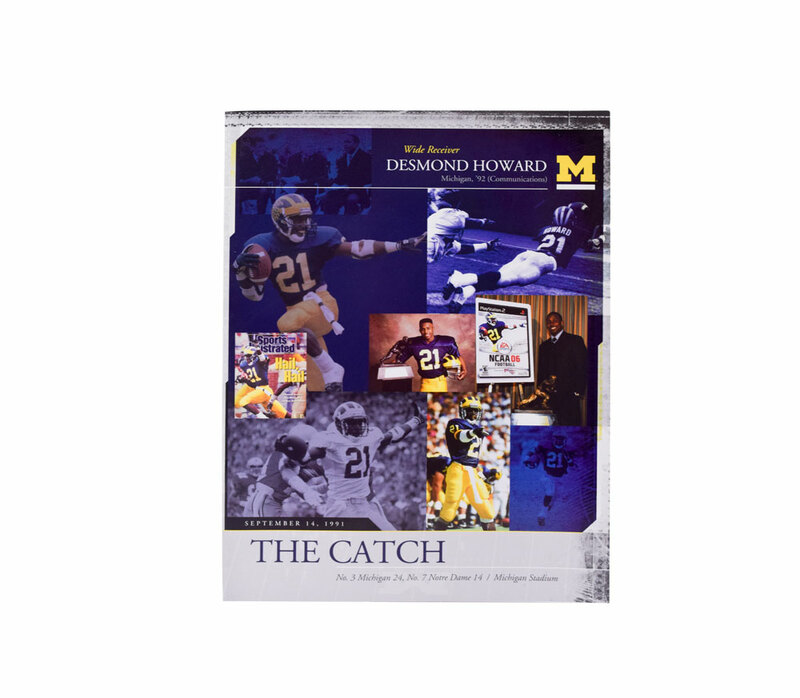 To ensure every fan was reminded of this epic moment in football history, each program included a special audio brochure titled “The Catch” featuring images of Desmond Howard. When the brochure was opened fans heard the original play by play of the excited announcers from that legendary game. 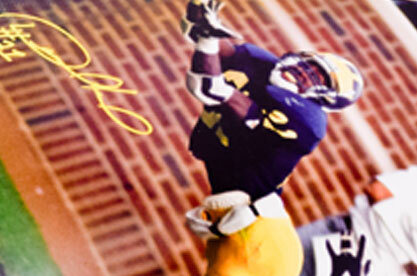 The audio track was complemented by a short history of the game including details on Desmond Howard’s stunning catch. 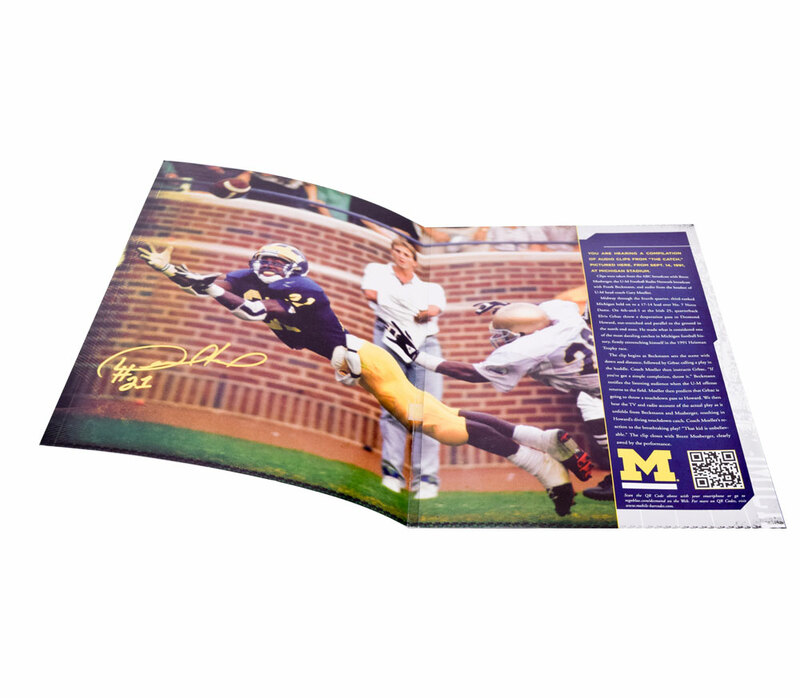 The audio brochure was so well received that many fans kept it as a keepsake to honor the rich history of University of Michigan football.